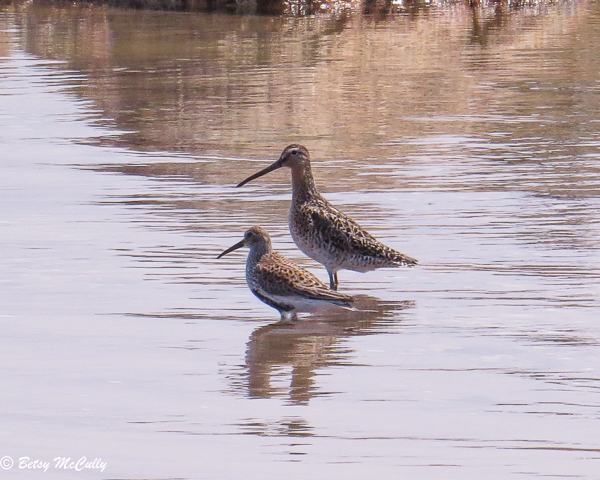 Credit: Dunlin (Calidris alpina) on left and Willet on right. Breeding plumage. The Dunlin is migrating north; the willet will stay.